For further information visit the page for Cooking Up Louisiana Treasures at http://www.cookinguplouisianatreasures.com. 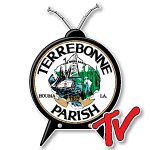 A 30-minute TV show featuring Louisiana farmers and their specialty crops. Learn how to connect with your local farmer and their fresh, local produce. Enjoy healthful, tasty meals as shown by Chef Celeste and Louisiana food advocates. Only on Cooking Up Louisiana Treasures.